Garda vetted. For further information on vacancies please contact Susanne directly. 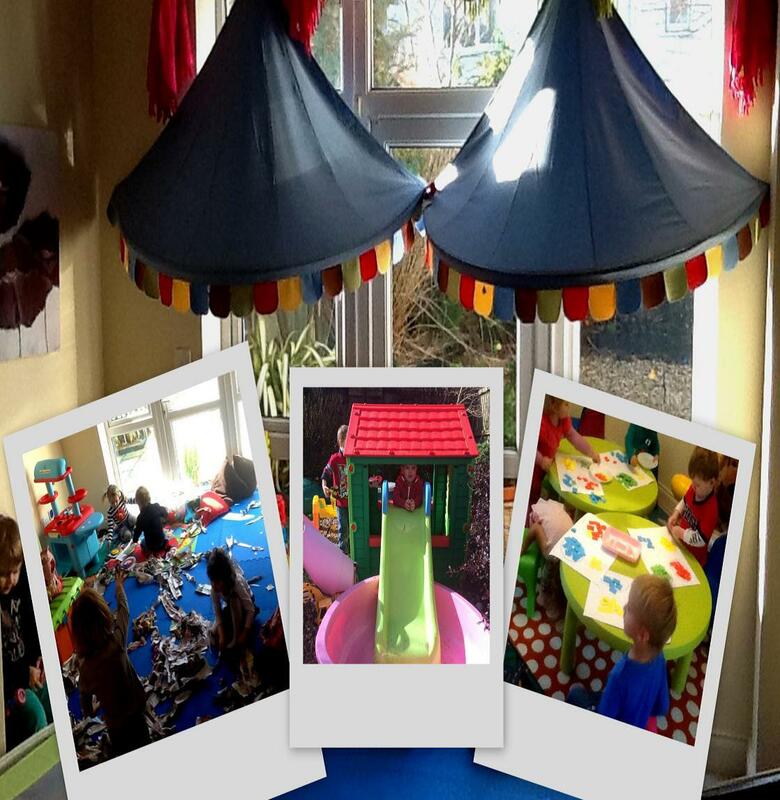 Qualified, Insured and Garda vetted, with 20 years experience in Childcare. Full and part time care provided. For further information please contact Linda directly. Garda Vetted and has completed a Quality Awareness Programme. For further information please contact Clare directly. Garda Vetted. For further information please contact Lisa directly. For further information please contact Sorcha directly. Garda Vetted and First Aid trained. For further information please contact Catherina directly. For further information please contact Elaine directly. For further information please contact Renata directly. For further information please contact Cliona directly. Garda Vetted. For further information please contact Luisa directly. For further information please contact Ilona directly. Garda vetted and first aid trained. For further information please contact Agnes directly. First Aid, insurance and Garda vetting. I have Fetac level 5 in childcare. For further information please contact Ann directly. Garda Vetted and First Aid Trained. For further information please contact Dolores directly. Service opens from Monday to Thursday. Garda vetted. For further information please contact Paula directly. For further information please contact Bernadeta directly. First aid trained and Garda vetted. For further information please contact Angela directly. For further information please contact Rosa Maria directly. Garda Vetted. For further information please contact Jolanta directly. For further information please contact Fiona directly. For further information please contact Paula directly. For further information please contact Breeda directly. 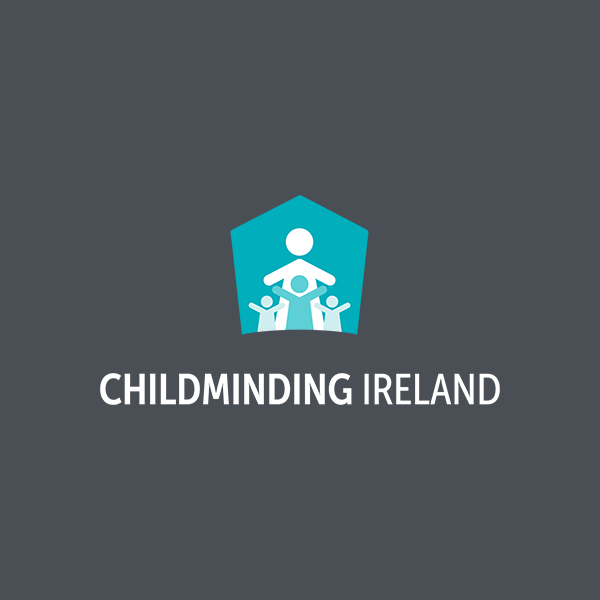 Full-time childminder, voluntary notified with Cork Co. Childcare Committee. Fully insured, home and car. 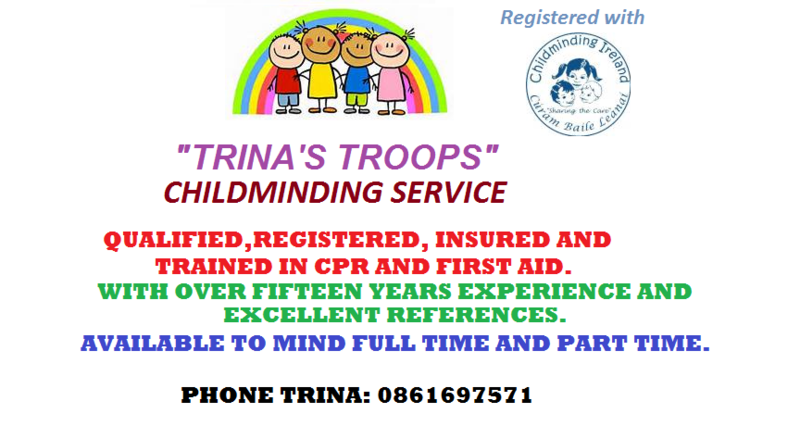 Garda vetted, First Aid/CPR. Ideal, home-from-home setting: one-to-one attention, healthy home-cooked meals, small numbers ensuring personal quality care. Over 20 years’ experience. Garda vetted and First Aid trained. To check for availability please contact Kim directly. Garda vetted. For further information please contact Elizabeth directly. For further information please contact Siobhan directly. Garda vetted and First Aid trained. For further information please contact Helena directly. For further information please contact Pamela directly. For further information please contact Paola directly. Garda Vetted and First Aid Trained. For further information please contact Adriana directly. For further information please contact Averil directly. First Aid trained and has Garda vetting. For further information please contact Jacqueline directly. For further information please contact Marina directly. Garda vetted. For further information please contact Marina directly.